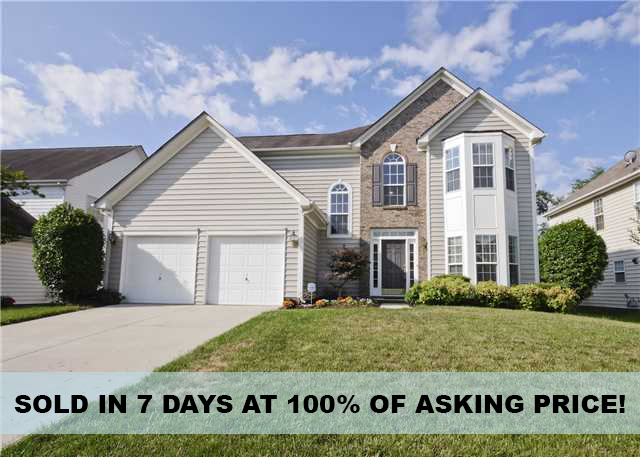 SOLD IN 7 DAYS AT 100% OF ASKING PRICE! Another successful sale from Marzia Mazzotti and another happy seller!! 8828 Cavonnier Ln just sold in only 7 days at 100% of the asking price!! WOW!!!! As Super Bowl Sunday approaches, there are two inevitable events that will occur. First, football season will be officially over until the Fall of 2018. Secondly, the Monday following the Super Bowl represents one of the busiest times in the real estate market as more people will list their home for sale shortly after the Super Bowl then during any other period of the year. If you are contemplating selling your home or buying a new home in the Cornelius/Lake Norman area, I would recommend you talking with one of your Sail Point & Peninsula Neighbors – Marzia Mazzotti (with Wilkinson & Associates). My wife and I sold and bought in the Peninsula area this past summer using Marzia and we would highly recommend her as your agent. Buying and selling around the lake requires an experienced agent that understands the requirements of Duke Power and the Peninsula HOA, as well as understanding the subtleties of Lake Norman. We found her experience and knowledge in these areas a real asset to us. Also, during what can be a very stressful time, you need the professionalism that Marzia offers to see you through what can be a difficult process, but with the right agent the outcome can be a phenomenal event – as ours was! So as you settle in to either pull for the Patriots or the Eagles, or to just check out the Super Bowl commercials, if the adventure of buying or selling in the Lake Norman area is on your list, please consider Marzia in this process. I wanted to take a moment to share our experience with Marzia Mazzotti and thank her for overseeing the sale of our home. We gave Marzia a pretty tight timeline to get our home on the market. We were moving in about two and a half weeks when I initially contacted her, and we hoped to be under contract prior to our move date. Given the season, market, etc. ; we knew it was a tall order. Marzia met us that very afternoon and came prepared with an aggressive marketing plan tailored to our home. She had a very talented interior designer (Cathy Reed) there within a day to help me stage the house. Her input and advice was also excellent. Marzia’s photographer did an fantastic job showcasing our home beautifully in his photos. (I may have even experienced some hesitation about selling such a pretty place, at that point!) We were quickly on the market with tons of showings and lots of interest. Marzia would go over the feedback with me and offer suggestions. She also offered to host an open house and alerted interested parties and attracted even more potential buyers. Sure enough, we were under contract prior to moving day! Marzia continued to guide us through the sale of our home, offering knowledgeable advice along the way. Marzia was incredibly responsive and easy to work with. I highly recommend her if you are planning on buying or selling in the Lake Norman area. Home sweet Home Georgia…taking time to give a shout out to Marzia Mazzotti and her team. When we suddenly received an offer to move into a home in Georgia I told my husband that I wanted to meet with a realtor by the name of Marzia that I had found to be quite creative in her advertising. We met on Sunday August the 23rd. Tuesday the 25th she had a video on line showing our home…34 mins after the video was out we had our first showing between 4 and 5 that very day. Showings continued daily and in under 14 days we were under contract…we arrived in Georgia on Sunday 11th of October. A creative realtor a Good God and a professional team of people made for a stress free move. MUCH THANKS MARZIA!!! Send a quick message to Marzia by filling out the form below.